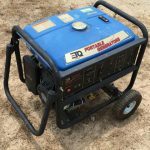 The DuroMax XP10000E is without question the portable generator that is the ideal standby power unit to any household or construction sites. 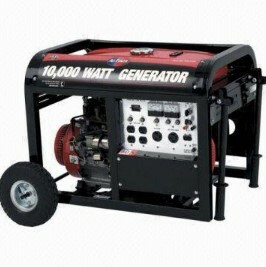 It can supply at least ten hours, at 50 percent load, of continuous power at 10,000 watt surge power capacity. 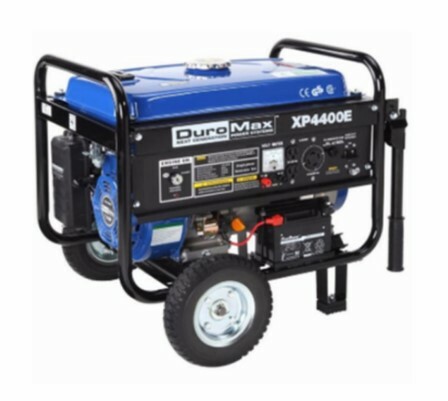 DuroMax XP10000E is one of the few portable generators that could supply power to heavy construction equipments. 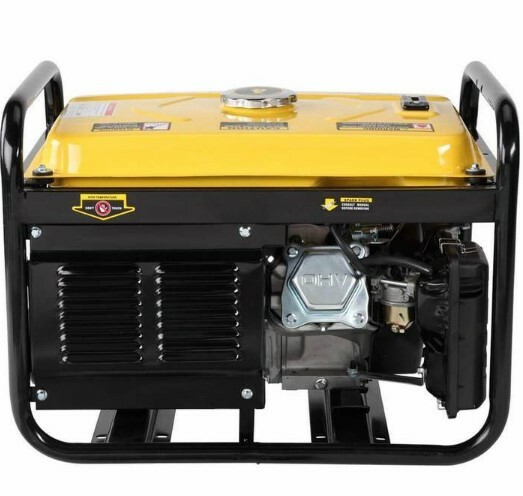 The 16HP OHV 4-cycle air cooled engine ensures stable and superior operation. The built it muffler moderates the engine noise to its lowest. 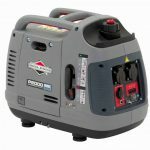 The heavy-duty steel that protects the machine and the separate motor mounts, ensures steady and unruffled performance. 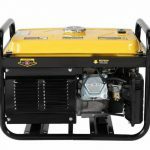 With an electric start and automatic low oil shut, DuroMax XP10000E portable generator saves you much of your time in checking the oil. 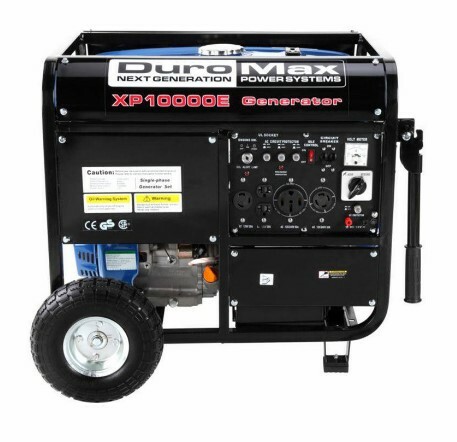 The DuroMax XP10000E is designed to economize fuel consumption. 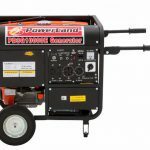 The idle control maintains the rate per minute (RPM) at a steady level despite the heavy loads. 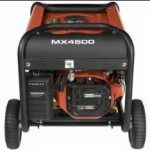 This automatically saves fuel usage and reduced noise level. Conversely, the control panel is also fitted with a volt meter and circuit breaker and outlets. 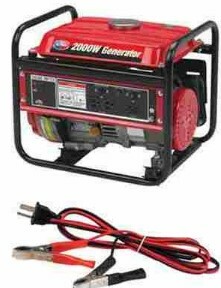 All your charged electrical appliances are shielded from an erratic upsurge of power. This portable generation weighs 249 pounds, but it is designed to have an extra- large pneumatic tire that measure 10 ½ inches. The wheel kit and front handle, makes its effortless to transfer the machine wherever you want it. Furthermore, the flip-up stow away handle allows you to store the machine easily. The maker of the DuroMax XP10000E made sure that their product is received in utmost superior quality to save the first impression. 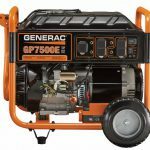 In this regard, portable generator is packed with a well designed high-impact interior/exterior packaging, ensuring a 100% in perfect condition. 10 hours run time at 50% load. 16HP air cooled OHV engine. 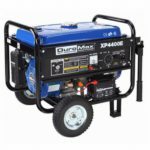 The 4.2 out of 5 ratings just proved to show that the DuroMax XP10000E is dependable and performs considerably well. 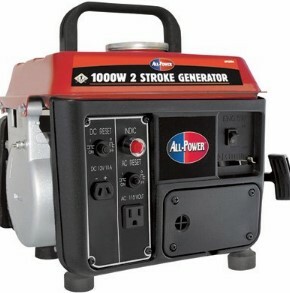 This product is highly recommendable to those with high-power needs. 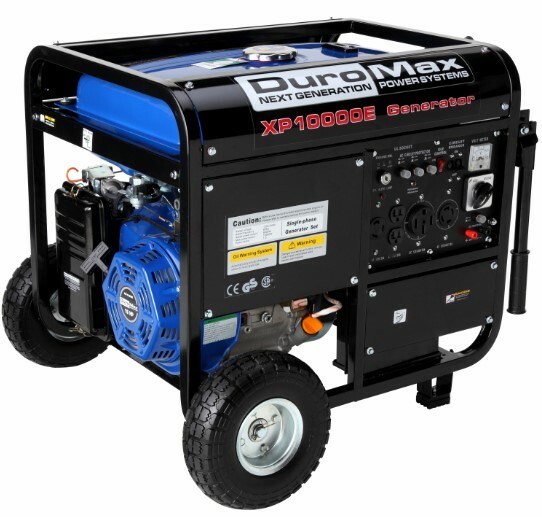 If you want a secured and continued power supply at a minimum fuel and maintenance expenses, the DuroMax XP 10000E is the perfect choice, it’s worth the buy.